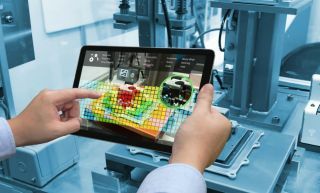 The manufacturing industry is currently undergoing its own digital transformation in the form of Industry 4.0, where cyber-physical systems (CPSs) combine physical components and digital networks to change how companies automate processes and share information. However, new research from Trend Micro has revealed that the rise of Industry 4.0 has introduced a whole new range of security issues now that IT, operational technology (OT) and intellectual property have been integrated. The firm's “Securing Smart Factories Threats to Manufacturing Environments in the Era of Industry 4.0” report raised the argument that WannaCry is still a real risk due to the fact that manufacturing companies use unpatched operating systems such as Windows XP more than any other sector. This puts the manufacturing industry at serious risk of ransomware attacks which have the potential to derail their operations due to the amount of data or company time lost. Trend Micro's report also shed light on how USB flash drives containing malware are more prevalent in the manufacturing sector than any other. During the second half of 2018, 25.77 percent of USB worm detections occurred in the sector which was almost double that of government (13.49%) and education (12.73%). Malicious CAD files also pose a threat to the industry as hackers could use them for industrial espionage to steal corporate IP and confidential information. Once again this threat was more prevalent in the manufacturing sector (23.15%) than in other sectors such as real estate (19.75%) or government (13.49%). According to the report, Human-Machine Interfaces (HMI), the dashboard that allows humans to control a machine, are hackers' number one route into a manufacturer and they account for 60.6 percent of equipment exploits. Hackers can access HMIs remotely over the internet and can read and often tamper with readings on critical machinery. Improving the manufacturing process through the use of technology certainly has huge potential benefits but businesses looking to do so must carefully consider the security implications to have a successful Industry 4.0 journey.